This Draco folder is an impressive creation that showcases the design and knifemaking prowess of Dalibor Bergam. 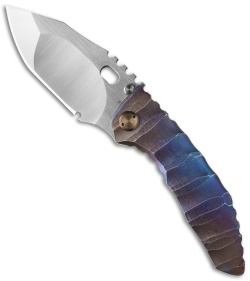 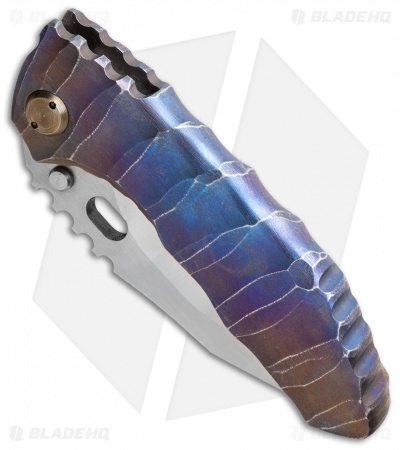 It has a thick single-piece integral handle with sculpted edges and a multi-color anodized finish. 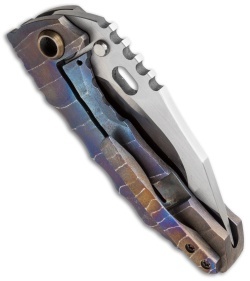 The CPM-3V steel clip point blade is compound ground and sports a clean satin finish. Every aspect of this Draco knife is fantastic and doesn't disappoint.